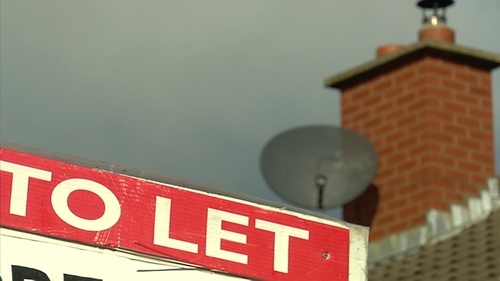 Interest deductibility for residential landlords is to be increased by 5% to 80% as part of measures in Budget 2017 to support the rental market. The rate had been restricted to 75% in 2009. In addition, full interest deductibility for landlords will be restored on a phased basis. It will increase by instalments of 5% until the full 100% deductibility is restored. The income ceiling that applies under the Rent-a-Room scheme has also been increased by €2,000 in the Budget, to bring the threshold to €14,000 a year. Minister for Finance Michael Noonan said this will allow homeowners to rent out additional rooms at current average prices while remaining within the scope of the scheme. However, the Society of St Vincent de Paul believes that because homelessness and housing need is so acute, the scale of the problem requires key quick wins combined with a scale of funding and delivery of social housing units unseen in Ireland for generations. Social housing levels are way below what is required and SVP is concerned that, in the absence of a strategy for the private rental sector, the Rebuilding Ireland housing plan is over-reliant on Housing Assistance Payment and private rented accommodation. "We need a fundamental increase in social housing units to avoid high rents, cold, damp homes and economic evictions in the private rented sector," said John-Mark McCafferty, SVP Head of social Justice & Policy. Meanwhile, an increase in emergency accommodation for homeless people of approximately €28m has been announced, bringing the total spend here to €100m. Minister for Public Expenditure and Reform Paschal Donohoe said an additional €105m is to be allocated for the Housing Assistance Payment Scheme. This will bring the budget for this purpose to nearly €153m, an increase of 220% compared to 2016, he said. This will enable an additional 15,000 households to avail of the Housing Assistance Payment Scheme. Together with the capital allocation provided for housing and other measures it will mean that over 21,000 applicants for social housing will have their housing needs met next year, Minister Donohoe said.